If you run a distributed, restaurant or hospitality business, how do you manage your business? It turns out, it's not so easy. 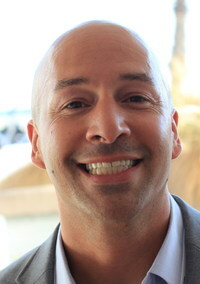 However, Redondo Beach-based StaffRanker (www.staffranker.com) has rolled out a system to help those companies better manage what is a notoriously difficult segment of the labor market, which has a lot of turnover and which just doesn't match existing, corporate performance management systems. We spoke with George Collado, CEO and founder of the company, to hear about how his own battles trying to manage a number of restaurants was the genesis of the company's product. George Collado: It's employee management software. We use a SaaS model, and we work with hospitality companies, such as hotels, restaurants, food service, and we help track employee performance in real time. It's kind of a challenge in those businesses, so that they don't even do it. It's too cumbersome, and most of the products are 360 reviews, corporate management type products, which are too expensive. We've designed a system where we track your employees in real time. What happens is multiple managers give feedback on an employee, it creates a stock chart for the employee, and they can see exactly where they are at, at any time. In an industry which has a turnover ratio of about nine months, most companies do these one year reviews which don't make any sense. So now, they can see exactly where people are at any time. George Collado: I worked in Hermosa Beach, with a restaurant group, and we had opened up several restaurants. I was a GM/partner, and managed a couple of restaurants. I probably had 200 employees, about ten managers, and for me I had no way of tracking their performance. I just didn't have any idea, and it was too cumbersome to do all these reviews. I was looking for a way to understand where everyone was at at any point in time. Through that, I designed a system using Excel spreadsheets to track this, and went on to start the company because I saw the need for it. George Collado: I would say, 25 or more locations, right around there, they start to realize the homemade systems they have in place just don't work anymore. They really need a way to scale and keep track of everything. Could be restaurants, could be hotels, could be retail. It's the same kind of employee at all of those. George Collado: We worked with the Pasadena Angels, Tech Coast Angels, and Siemer Ventures, and in January we raised a $300,000 seed round. What are you doing now and where's the product? George Collado: We actually just launched a second product, which is a store performance product. We help district managers when they do audits of their stores. They can use our platform to do the audit. It's a second product based off our existing platform, and we are actually working on other verticals. We've already identified a couple of others which have potential. The next phase is to go vertical specific. We're going to design the existing product for those verticals, and go very deep into those verticals. George Collado: Ease of use, low cost of entry, they're looking for a solution today. There's no integration, no IT help needed, no hardware to buy, it's mobile optimized for smartphones and tablets, and they know there's a problem, and they're trying to track this, and don't have a way to track employee or store performance. A lot of companies now are still doing this with pen and paper, and to try to aggregate that information on a regional standpoint is super difficult. For them, they can use our product, it's cost effective, and it rolls up for everyone. The GM gets a report, the district manager gets a report, the regional manager gets a report. It works great for everyone.